This needed to happen, so I’m glad that someone has finally done it. 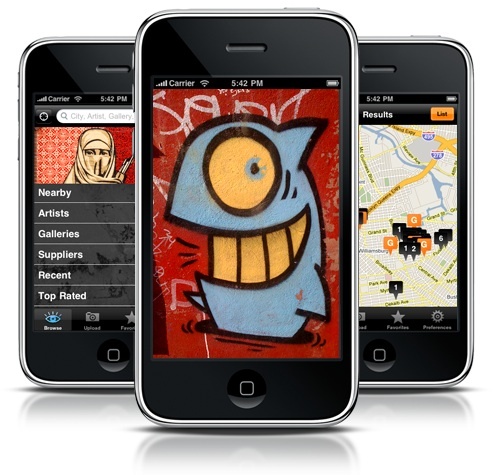 All City is an iPhone app that maps out street art and graffiti for users based on their current location. Wandering through an unfamiliar city or part of town and want to check out the art? Just pull up All City on your phone and see what’s nearby. And of course, you can add to the global map yourself via your iPhone. I tried it out recently and I’m really impressed. So far, there aren’t many pieces that have been tagged in London, but it’s just a matter of time before All City becomes super-useful. In the mean time, it’s fun to upload images and contribute to the growing community. All City is your hand-held guide to street art from around the world. 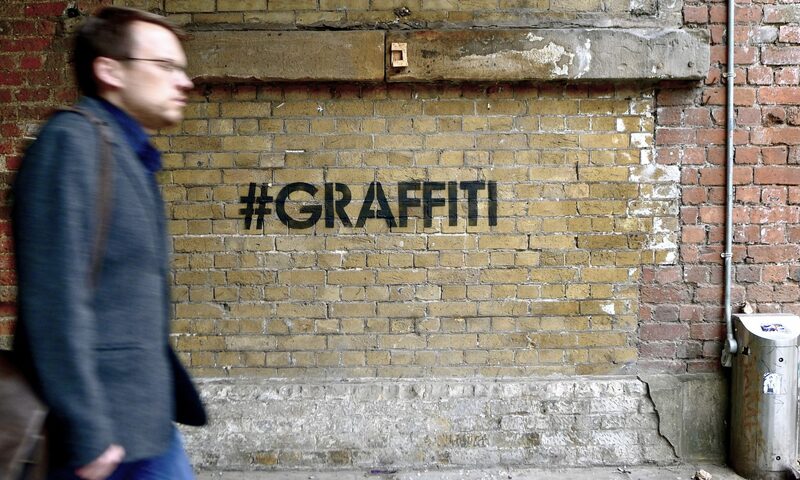 Easily tag and upload street art spots you find and discover new ones you haven’t seen yet. Check out artist bios and share your favorite artwork with friends. Quickly locate nearby galleries for inspiration and find art supplies for when it strikes. Put your scene on the map with All City for the iPhone. Marcus White and Kayce Thompson-Russ started this project a year ago, backed by a passion for street art and a desire to connect street art communities across the world. Living in Bushwick, Brooklyn, the lively outer-borough mecca for street artists, inspiration for their project comes daily. More often than not, street art is something stumbled upon by chance and its presence, while exciting and visceral, is temporary. All City makes the best of these chance encounters and offers a simple, well-designed experience that allows every user to be a contributor, letting people locate and share street art from anywhere in the world. The wiki-based platform allows users to identify unknown artists, share, rate and comment on pieces and send alerts if a piece has been buffed. Whether you want to see art within a few blocks of your house or check out the newest, top-rated street art abroad, All City gives you instantaneous electronic and physical access to our constantly-updated, ever-evolving database. All City puts eyes on every street and generates the freshest selection of street art available.